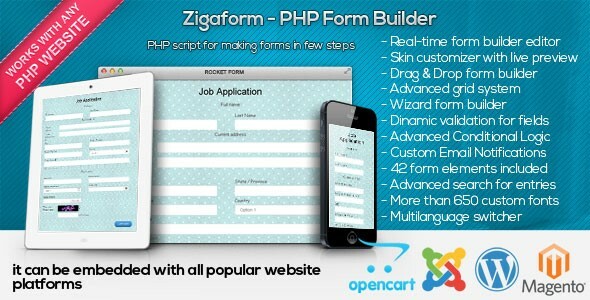 Zigaform - PHP Form Builder - Contact & Survey - CODELISTPRO | Free Premium Scripts, Plugins, Apps Source Code. Zigaform – PHP form builder is a visual drag & drop form builder editor with live preview which makes you to build your forms on few easy steps. it works with any php website (wordpress, joomla, drupal and etc).